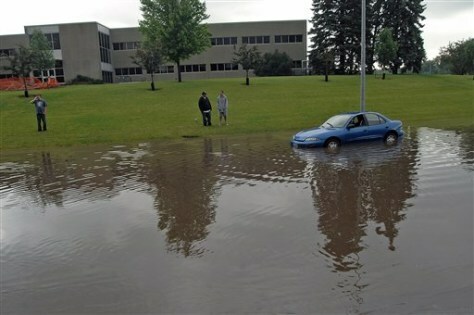 Dane Petersen, left, talks on this cell phone after his car was caught in high water in Bismarck, N.D., Tuesday. "I thought I could make it but I couldn't," said Petersen. He was later towed from the scene.